When Laura raced her first Challenge Roth in 2016, her fourth-place finish was a big step forward: It was her best performance so far and she was starting to beat more established athletes. One year later she was one of the most sought-after interview partners before the race – and her second-place finish to Daniela Ryf didn’t change that at all. This season has been going well for her, she has already won two IM-distance races in New Zealand and Australia. Can she claim the top spot on the podium this year? It would be the next big step forward for the world-traveling Brit. To put herself in a position to win in Roth, Laura would need to step it up across the board. Last year she had to work hard on the bike after a slower-than-expected 58-minute swim, and even a minute can make a difference for the dynamics on the bike. She should be among the strongest on the bike, and she has the experience to put out her biggest effort when it will make a difference. This year she’s raced the same races as last year, and her marathon times have been three to four minutes quicker. This indicates she might be able to run her first sub-3 marathon, and even after a good swim and bike that’s likely what she’ll need to challenge Lucy Charles. But in almost every race scenario, Laura is going to be at least in contention for a podium finish. Thorsten: You’ve raced a lot of races last year, then you seemed a bit flat in Kona. Are you adjusting your schedule for this year to be fresher for October? Laura: I don’t plan my seasons around Kona. Yes, it’s a big race but it’s never my main focus. Last year and this year were the same: If I qualified during the races I wanted to do (Ironman New Zealand and Ironman Australia) then that would be great and I’d go to Europe to race Challenge Family over the summer. If I hadn’t qualified after those races, then I wouldn’t have started chasing points just to get to Kona. I still plan to race a lot of races in Europe with the Challenge Family. There are some great races that I really love and get a lot of joy and happiness from them. With regards to Kona last year, there are of course many lessons I took away, and have implemented and will be implementing in my races and continual development this year as an athlete and a professional. T: How does the female race in Roth develop? Based on the data there might be a larger group of WPro on the bike, and how much do the faster age groupers influence the race? L: I don’t envision there being a single group chasing – even if it looks like that on paper, it rarely spreads like this, even if on paper like this. My job is to respond to scenarios that occur in the race and focus on my performance. I can only speak for myself in talking about a clean race, and that I will be riding a clean and honest race. I can’t comment on the other women and how they choose to race. I do think though that race organisers and event teams need to put consideration into the start times to ensure that there is minimal impact on the Pro women, from either the Pro men or the Age Group men. Challenge Roth have been great at listening to the feedback of the women and Pros and have altered the start times [there will be a 12-minute gap this year], which I hope is a good step to give the women a clean and fair race. I’m sure there will still be some cross-over with it being a two lap course. T: You’ve improved from fourth to second in Roth. How do you see your chances this year for a further improvement? L: When you put yourself on the start line, you put yourself in the frame of winning. Roth is a special race to me and one that I would of course love to win. I can’t control the other women on the start line though or what performance they have on the day. All I can do is to focus on my performance and getting the very best out of myself. 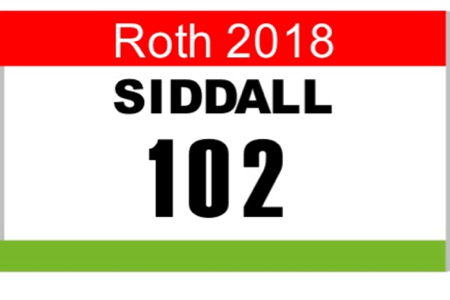 My goal for Roth 2018 is to put in a better performance than I did in 2017. My goal is to continue to develop and improve and build on my past races as I move forward. 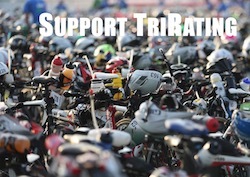 Therefore I’ll be focusing on executing the very best swim-bike-run I can on the day, and aiming for a personal better performance than last year. This is what I can control. This is where my focus always is. T: Your current run PR is from Roth last year (3:05). Do you think you can attack a sub-3 hour marathon in Roth this year? L: My running has been going well, and improving all the time. However you just never know on race day what will happen. To be competitive against the best women in the world, you really need to be running around 3 hours off a strong bike, so that’s always the goal when I’m training and racing to be moving closer to that mark. Whether I do it in Roth, or this year, or next year or never, who knows, but that’s always the driver to get better and better. I am aiming to go in fresher to Roth this year and see what my legs can do. T: How are you dealing with all the events before race day? Are you someone who gains power and strength from all the interactions before race day or will you need some extra “quiet time”? L: I have ZERO pressure! None. Challenge Roth is a special race for me, as I have grown to love the event over the past few years, and all the team that’s involved. It’s an amazing atmosphere and that’s why it’s the best race in the world. I love this race, it is a celebration, but the result won’t define me. I am stoked at already winning two IM races this season, so I can go and race with a fearless attitude and soak in the atmosphere and occasion of the special event that is ROTH. As a professional, I know that I have commitments when I’m at the race but at Roth with the energy and vibe it’s always such a positive. I draw a lot of energy from these interactions and it feeds me leading into the race. Of course, I do balance these with ensuring I also have enough “me time”, but the Challenge Roth team also respect this.